While the reading and writing portion of the SAT exam has long had a significant critical reading component, the “new SAT” introduced in 2016 focuses to an even greater extent on critical reading in its Evidence-Based Reading and Writing section. In essence, this element of the SAT is a test of a student’s ability to interpret college-level reading material. If students read, think about, and learn how to understand very sophisticated and complex texts, in addition to the obvious benefits of simply building these skills for the sake of being a more discerning reader and writer, they will do well on this portion of the SAT exam. Unfortunately, most students rarely encounter adequately sophisticated prose. 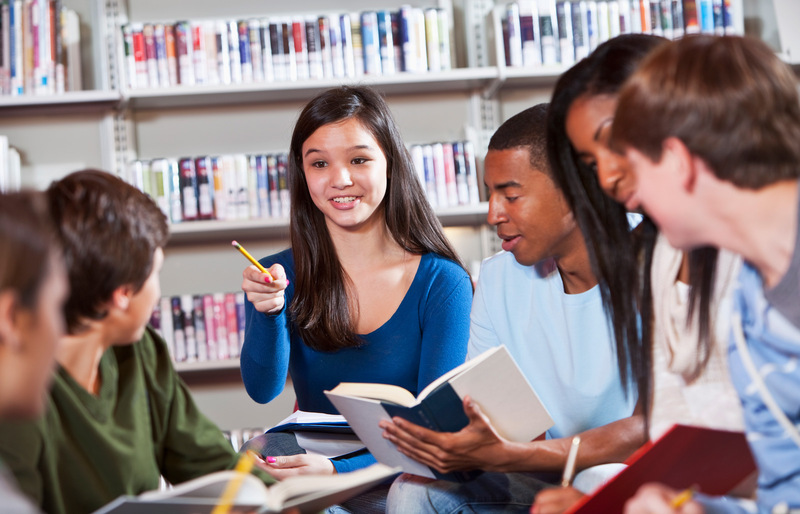 The average high school senior tends to choose material at the 7th grade level when they choose to read. At the same time, high school textbooks have continued to simplify the reading level such that high school seniors will often be studying history written at a 9th or 10th grade reading level. Finally, even those students who do work with a few challenging texts for an AP Literature class, for example, are often rushing to get through the prose (or even using Cliff's Notes). Slow, careful, analytical reading of demanding texts over the course of years, with a focus on understanding the precise meaning of texts, is one of the most powerful ways to develop the sophisticated reading skills that are reflected by high SAT scores. Very few students even encounter a course that requires this over their four years of high school. There are a number of strategies that can further amplify the gains made by such close reading of complex texts, several of which are described by Harvard education professor David Perkins as “learnable intelligence.” They include a repertoire of explicit strategies for breaking texts down, learning ways to think about the whole, and developing metacognitive awareness of the real time strategies used to decipher complex texts. Though it is definitely possible for students to practice and develop these skills, a lack of motivation is the most significant barrier: Few high school students are willing to work through incomprehensible (to them) 19th century prose in order to improve their reading skills - especially not in a progressively more challenging way, over four long years. Students that are not motivated to read and understand the difficult texts they are confronted with, and instead complete assignments in a perfunctory manner, simply won't develop these skills. Once an activity becomes a social activity enjoyed by teens, magic happens. Adults can back away and let them have fun. Our unique approach, carefully crafted over thirty years in classrooms around the world, emotionally engages students in serious intellectual work. The result of studying graduate level texts day in, day out, in a socially stimulating community, is that students are motivated to do the hard intellectual work they need to do over the long haul to build the skills that are reflected by a high SAT reading and writing score. In the process, they learn and practice using the metacognitive “learnable intelligence” tools to analyze texts—for literally hundreds of hours. ATI students become sophisticated readers and thinkers within a community of peers dedicated to thinking seriously about important, personally meaningful ideas. At ATI, we believe that this deep engagement is a much better approach than reading 7th grade books recreationally, studying 9th grade reading level textbooks, and then desperately memorizing SAT vocabulary words during a student's junior and senior years. On both the human level, and the practical level, it also produces much better results. The Socratic Humanities program at ATI is based on similar programs developed by ATI founder Michael Strong, as summarized in his book, The Habit of Thought: From Socratic Seminars to Socratic Practice. The best data on annual national average gains on the SAT comes from students who take the PSAT in both their sophomore and junior years. There is no data on average students who take the SAT or PSAT annually. Because the students who take the PSAT twice are both unusually motivated and unusually intelligent, their gains are likely to be larger than those of the average American student. Yet even against this “national average” benchmark, gains on the SAT Evidence-Based Reading and Writing section of the exam at Michael's schools have been extraordinary: in 2016-2017, a cohort of Michael's students averaged gains of 58 points (as against the the national average of 33 points). Thus, Michael's students' SAT reading and writing scores are growing at roughly double the rate of those of the most motivated and intelligent students in the U.S.
Watch for a future post discussing SAT math gains and our associated strategy there.